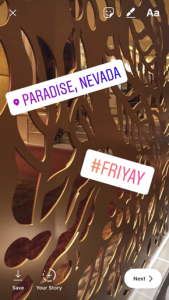 Just in case you haven’t heard, Instagram Stories is a feature that lets you share slideshows of images and videos that remain visible for 24 hours and then disappear. It might just sound like a fun hobby. But just how popular are these stories—and are businesses using them, too? A recent CNBC interview reported more than 250 million people use Instagram Stories on a daily basis, and one-third of the most-viewed stories are posted by companies. Users under 25 years old spend more than 32 minutes a day on Instagram, on average, while users 25 and older spend more than 24 minutes a day—meaning this feature has a really engaged following. So, enough numbers—it’s clear this Insta-feature is important for you and your business to increase engagement with existing followers and expand brand awareness among new followers. Let’s walk through your first Instagram Story to make the process as quick and easy as possible. When you’re ready to start sharing photos or videos in your first Instagram Story, tap the plus button on the top-left side of your Instagram home screen or swipe left in your Feed. You also can open Stories by swiping right on the main screen. Now, take a picture by tapping the circle button at the bottom of the screen or hold it to record a video. Another option is to add media from your Gallery or Camera Roll (by swiping up or down) to start a live video (open the Stories camera and select Live). Alternately, create a “Boomerang,” a short video that plays backward and forwards (under the Stories camera record button, select Boomerang mode and tap Record to capture a series of photos). You can edit your photos or videos, by adding image filters, face filters, doodles, stickers or text like you normally would in Instagram. When you’re ready to save your Story, tap Done. Then, tap the Add Your Story button to share your Story with your followers and others who might find you in searches or via their Explore screen. Next, let’s look at some more tips and tricks to get the most out of Instagram Stories. There’s nothing wrong with delivering promotional messages using Instagram Stories—you are a business after all—but in this medium, you want to keep things lighthearted and fun. Don’t be afraid to get personal in your Stories. For example, go behind the scenes and give your followers an inside look into your business, office, neighborhood, work day and anything else you think might be interesting or entertaining. Because people love transparency and having an inside look at things, using Instagram Stories to give your customers a behind-the-scenes look at your business, art or daily life helps build your reputation and audience. In short, look for ways to tie-in your promotional messaging with the more personal and entertaining content you post in your Stories. At first, only your own followers could see your Instagram Stories. 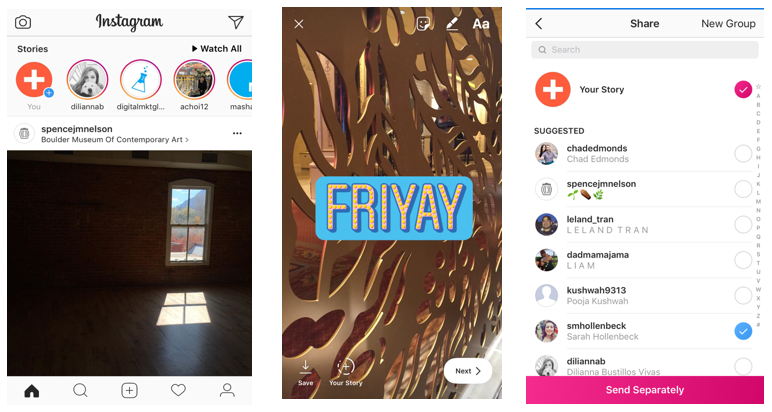 Now, Instagram makes it possible for users to find Stories that might interest them, based on location or hashtag. People actually search for local businesses in Instagram, so including hashtags relevant to your industry and offerings help people find you in search results. Also, location results from the Explore page include a special icon when Stories from that location are available. So, if you’re interested in expanding your audience, make sure to include location and hashtag stickers with your Stories. How? Tap on the sticker icon (the square smiley face) at the top of the Story screen and then select the appropriate sticker option. After investing effort into creating your Instagram Stories, it’s a shame to let them disappear after 24 hours. Learn more here. Fortunately, it’s easy to save a Story as a video to repurpose on other social media channels, like your blog or your website. When viewing your finished Story, tap Save at the bottom-left of the screen. Select entire Story. It will appear in your camera roll as a video you can now share or send elsewhere. Instagram Stories are a great way to strengthen the connection between your business and your followers—and attract new ones, too. By creating interesting, fun, and branded content, you can build stronger relationships with your customers where they’re already spending a lot of time! Looking for ways to grow your Instagram followers? 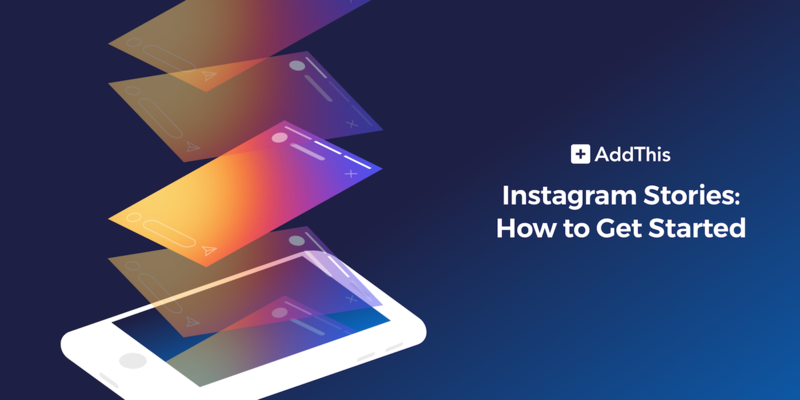 Read our article on 7 Easy Ways to Get More Instagram Followers and add the AddThis Instagram Follow Button to your website!